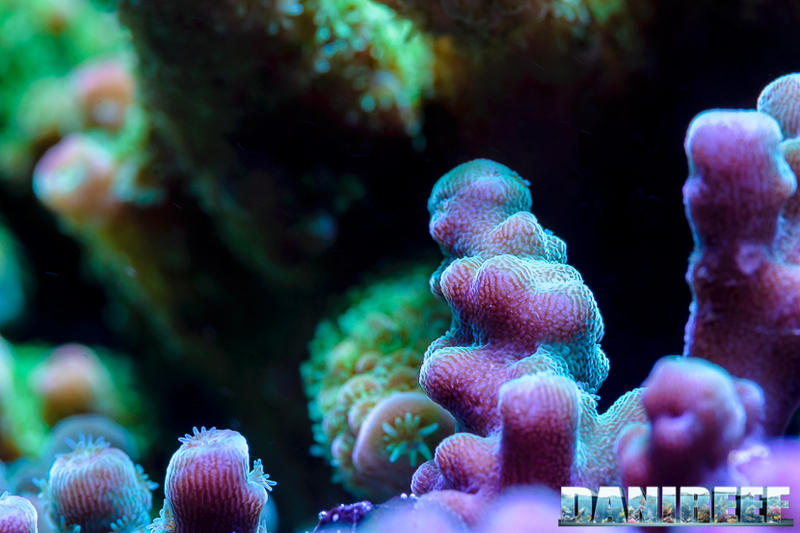 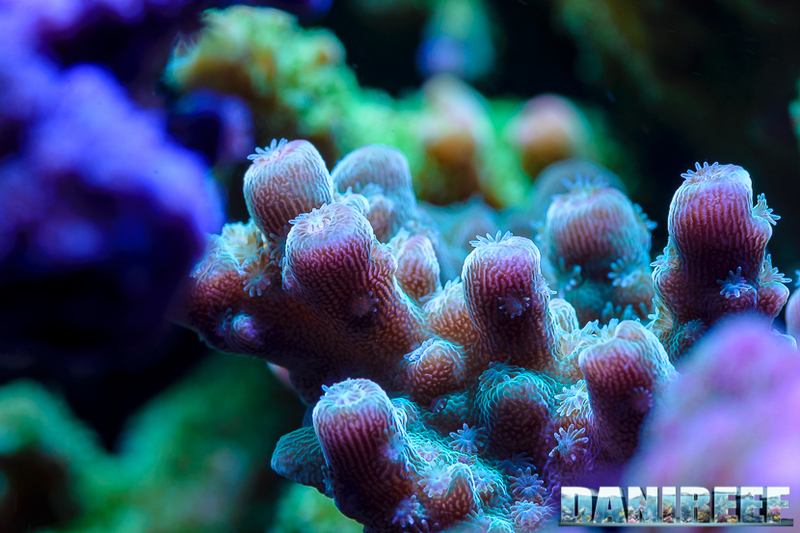 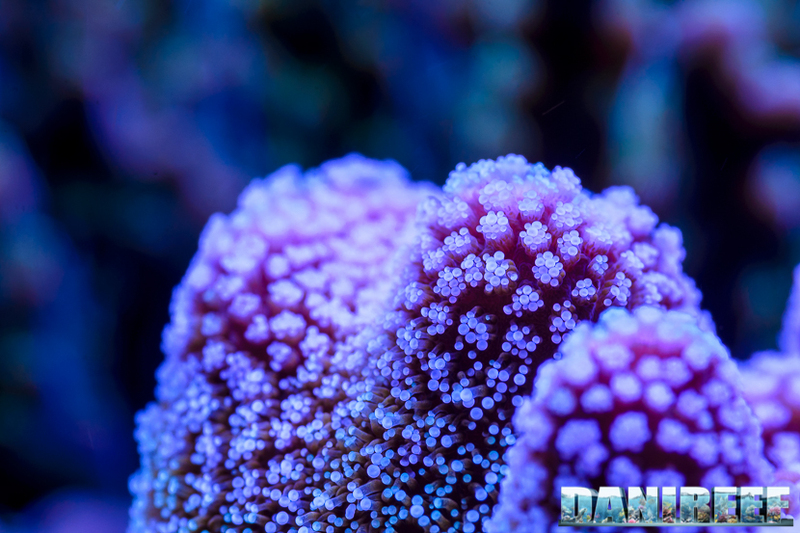 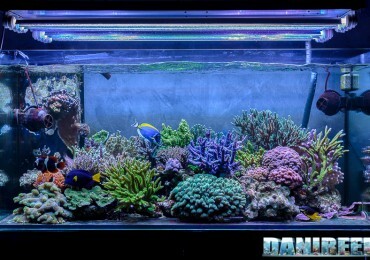 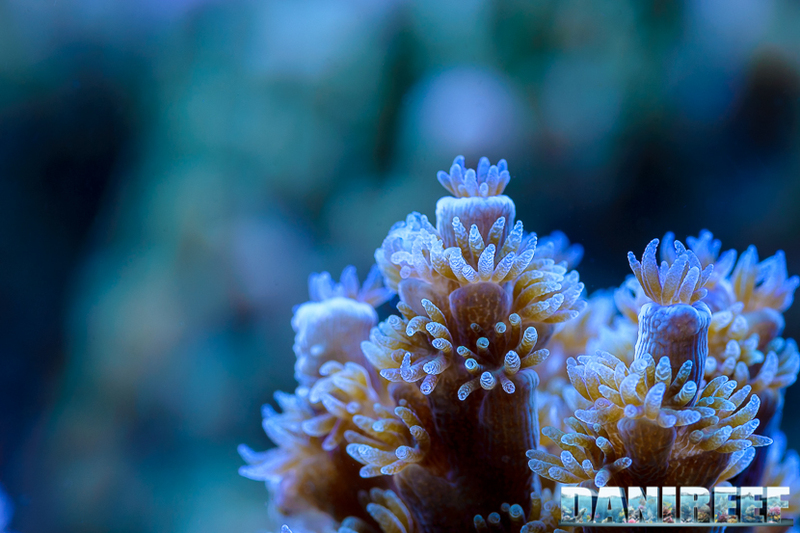 The tank is dominated by small polyp stony corals (SPSs). 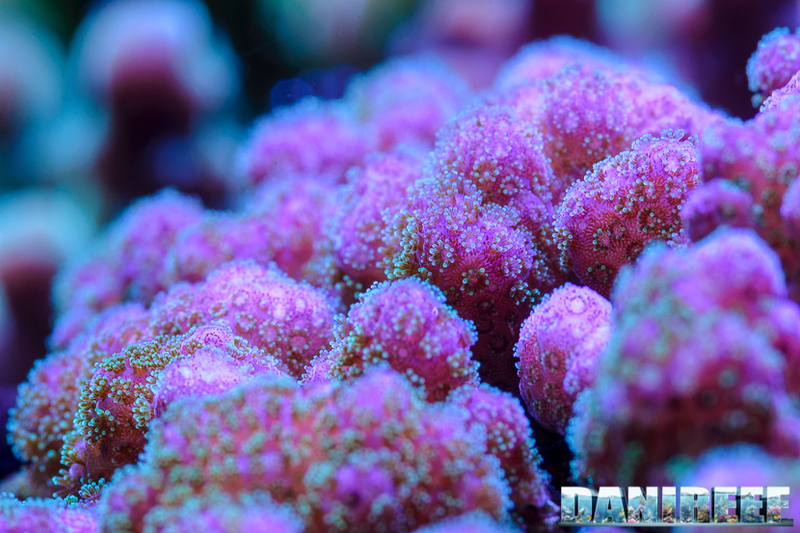 Massimiliano is in love with them, just like so many of us are, and he has gained a great deal of experience about them for obtaining their perfect coloration. 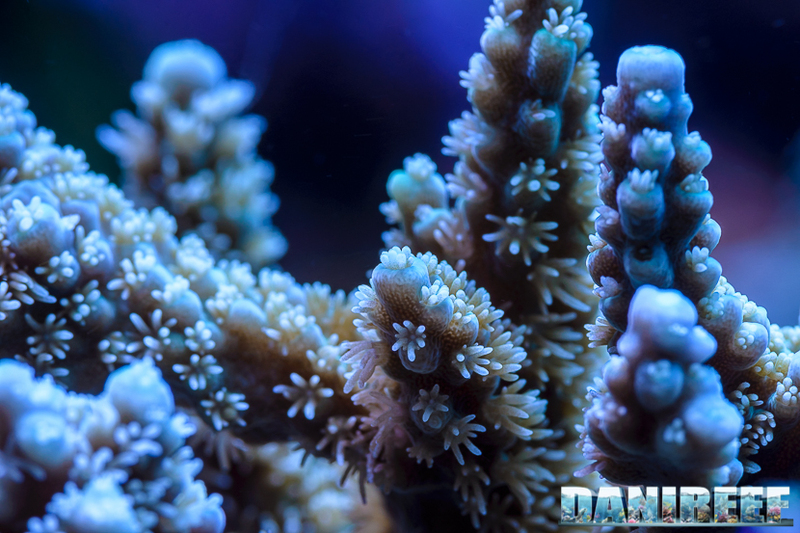 We would love to talk about every singe coral, but to really dive in Massimiliano’s tank we leave you with their pictures instead. It was hard to choose what pictures to show you as we took so many of them… but we were really satisfied by some. 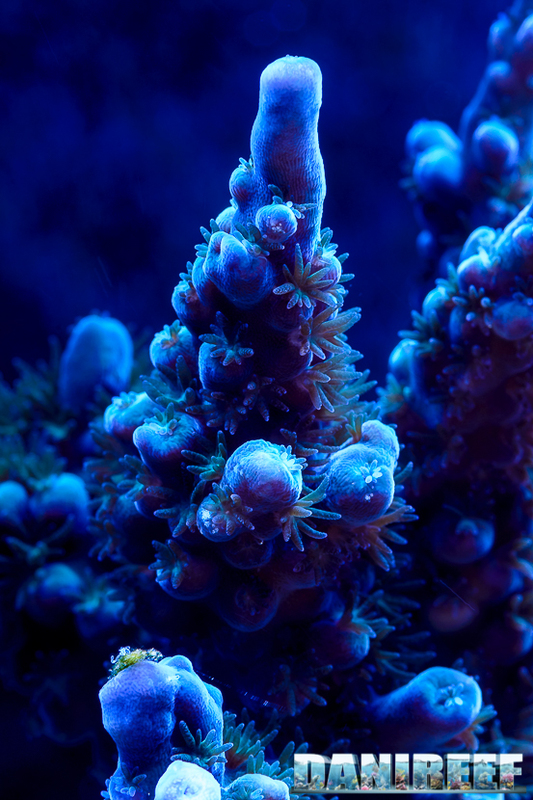 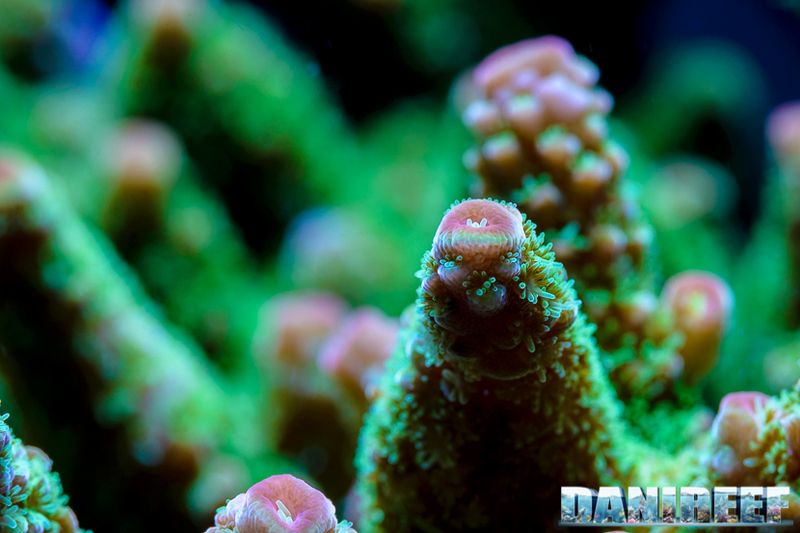 Look at those Acropora‘s polyps above, it feels like you could just reach up your hand and touch them. 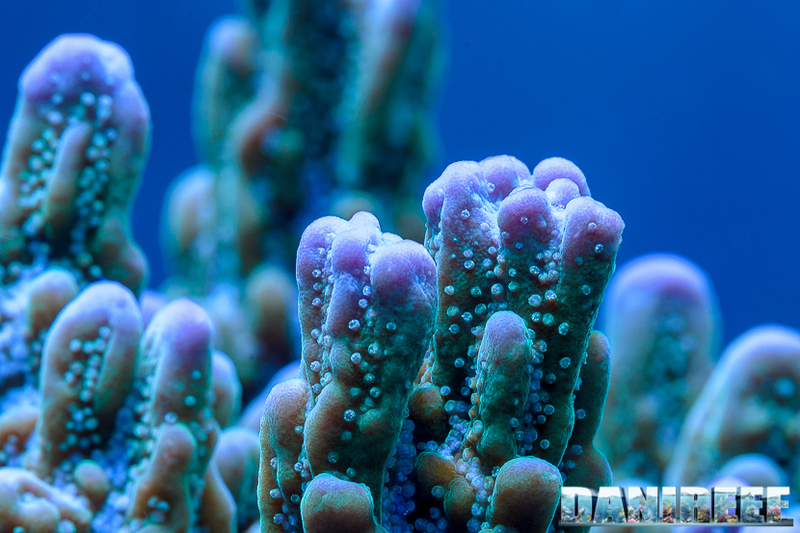 Here we can see the polyps as well as the Zooxanthellae strains on the coral body. 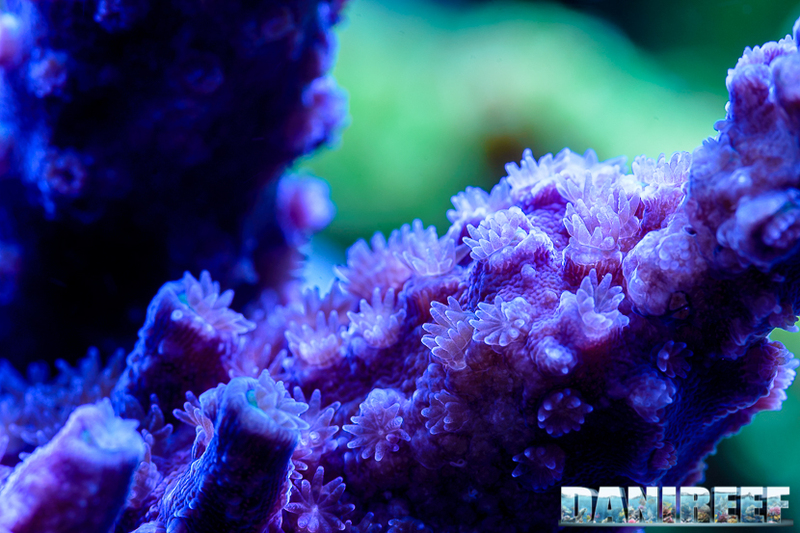 Massimiliano says that for feeding his corals he mostly uses Coral Vitalizer by Korallen Zucht and Omega aminoacids by Elos. 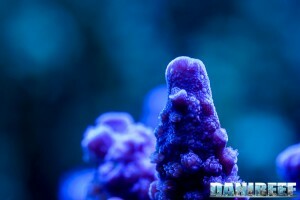 If these are the results then we can just tell him to keep doing the same. 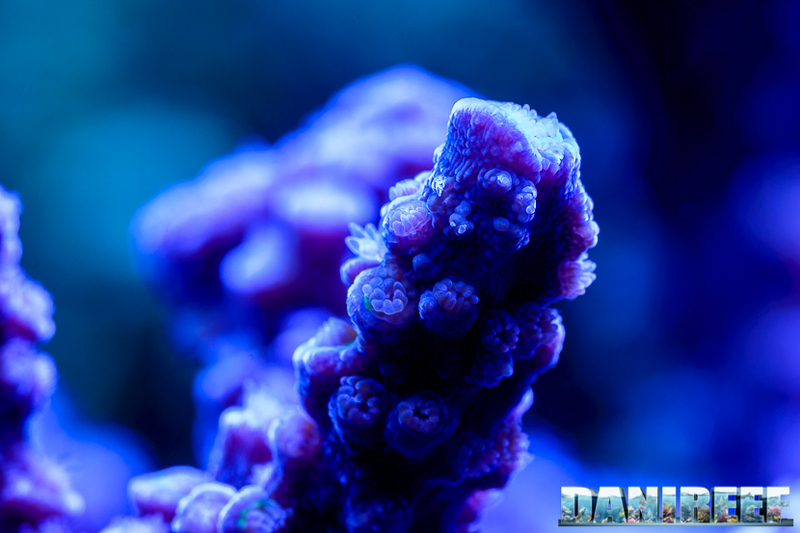 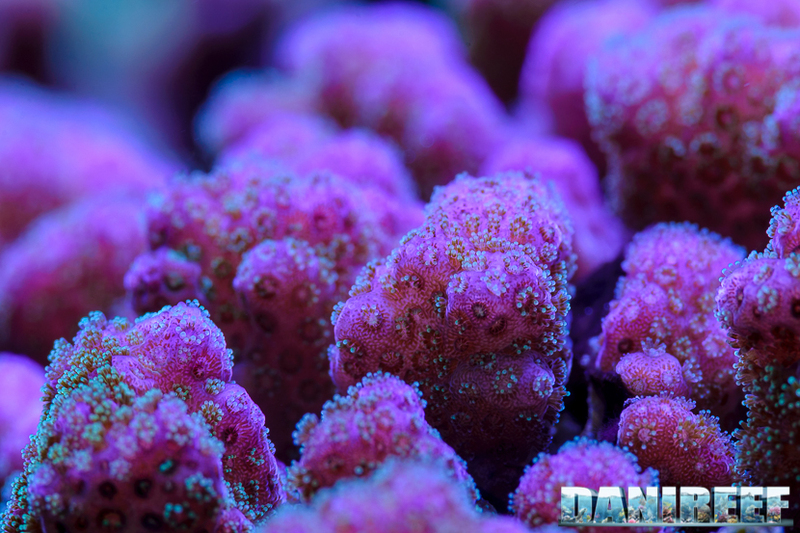 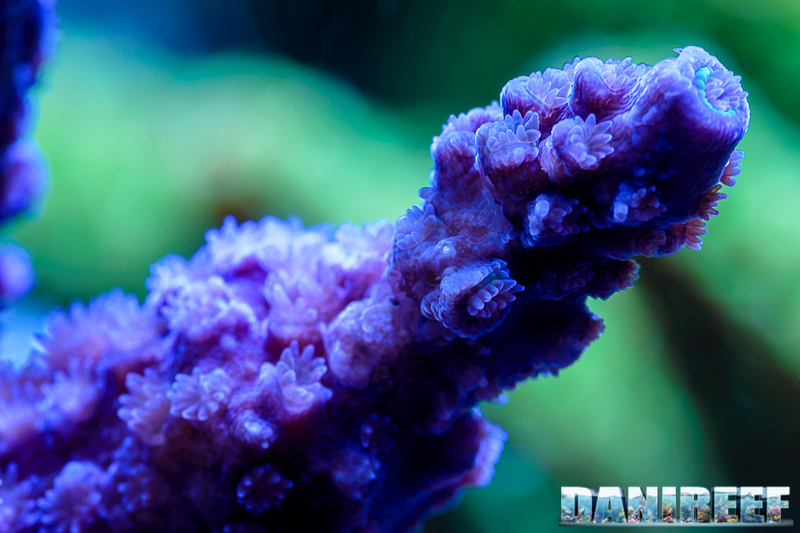 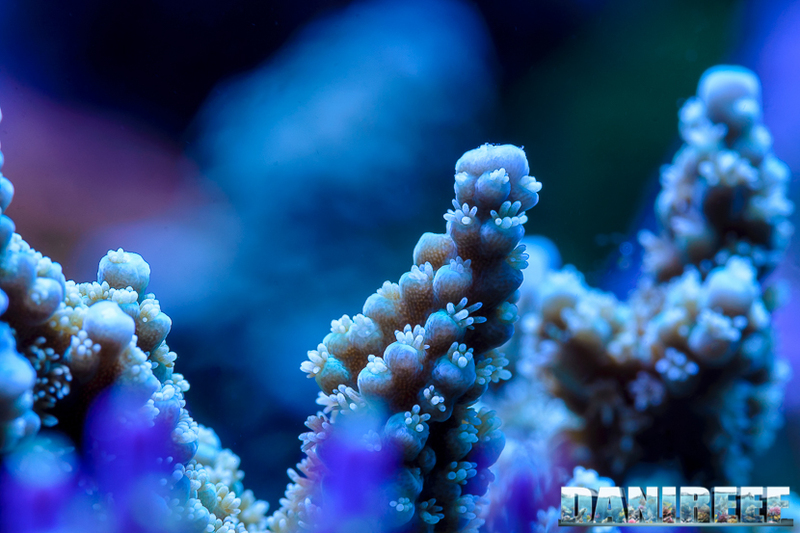 Look at this Pocillopora verrucosa’s colours.